I grew up on Burkett street in Richwood. Mrs. Markwardt was a very loving woman and a great neighbor to all. R.I.P. to this new Angel in Heaven. My thoughts and prayers go up for the family. Judy and I were very saddened to learn of Aunt Joanne's passing. 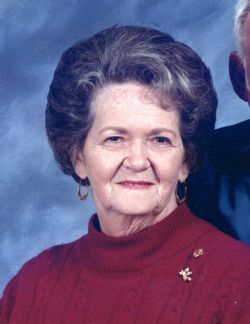 Aunt Joanne was a very loving and kind person who will be greatly missed. I have some very wonderful memories of many summers spent with you, Aunt Joanne and your family. With our deepest sympathy we send our healing prayers and comforting hugs to you and your family. My very deepest sympathy to you all. Our years of friendship were some of my happiest ~~ she was a true friend indeed! May your family find comfort in knowing Joanne is now resting in peace with her Lord!